Skip Wensyel, 86, of Carlisle, passed away on Thursday, August 20, 2015 at the Sarah Todd Memorial Home, Carlisle. He was born in Bellaire, OH on October 26, 1928 to the late Charles and Edna Wensyel. 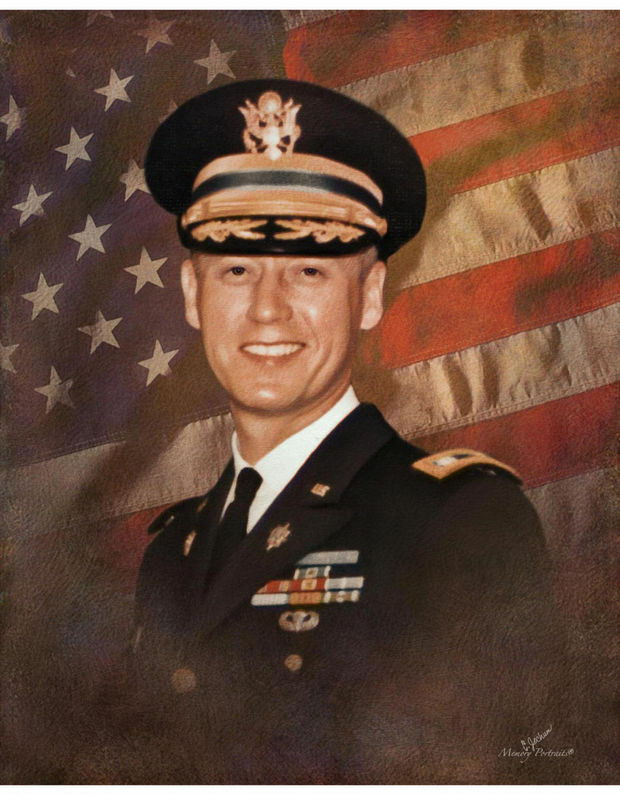 Skip was a 1952 graduate of the United States Military Academy at West Point, NY and then spent over 21 years in the Army before retiring at the rank of Lieutenant Colonel in 1972. He served during the Korean Conflict and Vietnam, receiving 2 Silver Stars, 2 Bronze Stars, 3 Purple Hearts and 10 Air Medical Meritorious Service medals. He also received foreign decorations from Korea, South Vietnam, Australia and Turkey. In addition to his tours overseas, he served in bases all over the country from Fort Lewis, WA to Fort Benning, GA and served as an aide to Presidents Truman, Eisenhower, and Kennedy. He also received a Masters in History in 1956, an MBA in 1962 and his Masters in English Literature in 1964. Both Masters were from the University of Pittsburgh. After his retirement from the military, Skip worked as a Vice President and Director of Investments for Wells Fargo; as a supervisor of historic sites at Palisades Park, NJ; was self-employed as a security consultant; and was Vice President and Director of Security at Penick Corporation. In 1983, he married Jean S. McDermott McKinney. He was licensed to guide in April of 1990 and continued guiding until health issues forced him to stop following the 2007 season. He enjoyed being a licensed guide at the Gettysburg Battlefield and his knowledge and personability made him a strong presence among his colleagues and friends. He was also the author of four books (Martha’s Easter Bonnet, Security During Strikes, Petersburg: Out of the Trenches, Appomattox: The Passing of the Armies) and many articles that were published in American Heritage, American History Illustrated, the Civil War Times and Readers Digest. He is survived by his wife, Jean S. Wensyel of Carlisle and many friends who will surely miss him. Funeral services will be held at 11:00 a.m. on Wednesday, August 26, 2015 at Second Presbyterian Church, 528 Garland Drive, Carlisle with Rev. Jeffrey W. Gibelius and Rev. Jennifer J. McKenna officiating. A graveside service with full military honors will be held at Evergreen Cemetery, Gettysburg at 2:00 p.m. There will be a visitation from 9:00 a.m. until the time of the service at the church.